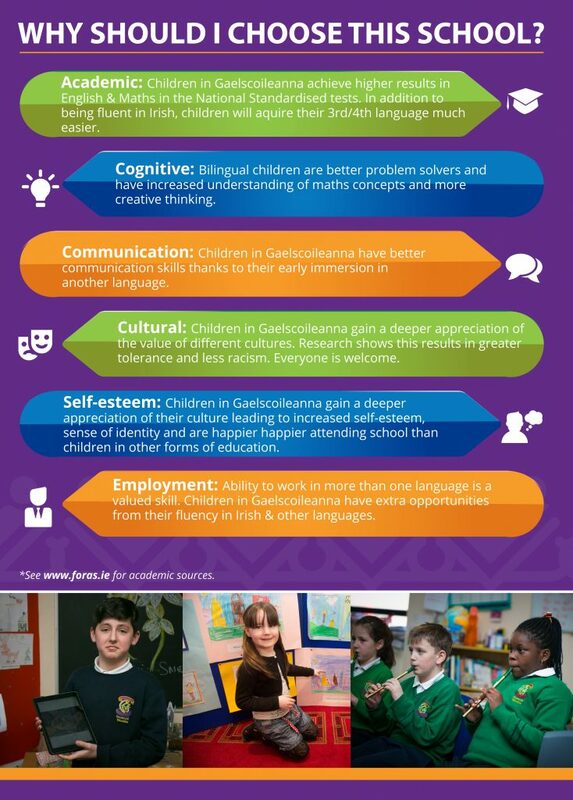 What is Irish Medium Education? Better performance academically (Gallagher & Hanna, 2002). Easier to learn a third and a fourth language (Cenoz & Valencia 1994). An understanding and openness to other cultures (Gallagher & Hanna, 2002). Improvement in cognitive functioning in creativity and communication (Bialystok et al. 2005).